I Love You, SentiSabado! - All Chucked Up! You are Here >> Home >> Personal >> I Love You, SentiSabado! 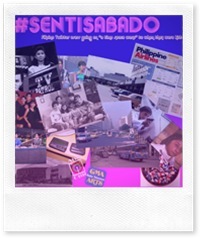 Wow, ang dami na palang followers ng #SentiSabado on Facebook! If this picks up, there are a lot of possibilities for a movement like this. It also encourages people (especially kids) to go and make new memories, today! This is fun. That's true. It's pleasantly surprising how people responded to it. I guess what makes 80s (and part of the 90s) very memorable is that people (particularly kids growing up in that era) weren't so engaged in video games and computers. We had more outdoor activities… unlike kids who are now holed up in their own virtual world. Everywhere I go, I see kids playing PSPs and DS devices even while walking. These kids will eventually grow up to be introverts with no experience interacting with people. Aaawww nagsesenti ka na as early as now ha hahahaha. Ready na ako! Kakabugin ko visuals mo lolo! hi chuckie! 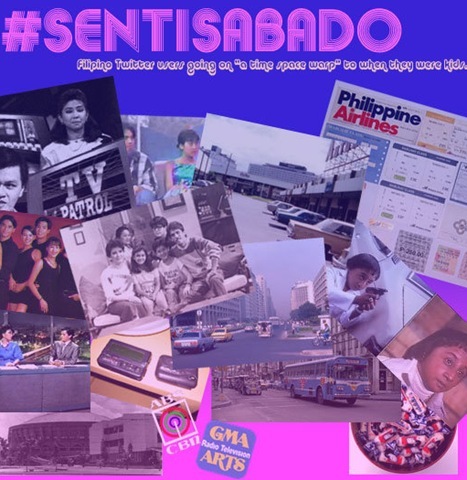 I have so many entries for #sentisabado involving you — my most favorite was that movie with nora aunor, yung angel ka then andaming manika?! Tapos andun sina Bella Flores?!!! kakatuwa lang i-recall…. Oh wow! You mean my character, "Kerubin", sa "Mga Kwento Ni Lola Basyang"? LOL! That was years back! Talk about #sentisabado! Haha! Thanks for dropping a line. Hope to see you here again!